The Union Cabinet chaired by the Prime Minister Narendra Modi has given its approval to ratify the Second Commitment Period of the Kyoto Protocol (the Doha amendment). The second commitment is for enhancing pre-2020 actions till the Paris Agreement comes into operation. The second commitment period of the Kyoto Protocol was adopted in 2012 and the ratification period began in the beginning of year 2013. So far, 75 countries have ratified the Second Commitment Period. Of the total 192 parties to Kyoto Protocol, 144 ratifications are needed for the amendment to come into force. The Doha amendment was to determine the course of climate action from 2013 (when the First Commitment Period ended) to 2020 after which the Paris Agreement will come into force. The Kyoto Protocol was the first legal treatise to address climate change by cutting down of greenhouse gas emissions. It laid out quantified targets for developed countries to cut down their emissions and asked their developing counterparts to adopt national climate plans, funded by finance and technology transfer from developed countries. Pre-2020 action is one of the most neglected agendas in climate talks. 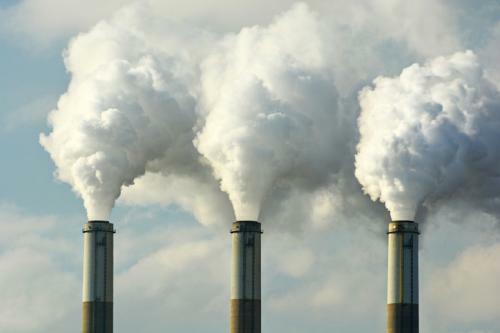 Historical polluters like US, European Union, Canada, Russia, among others, have not yet ratified the second commitment period despite sharp criticism. This shows their lack of seriousness to take up clearly defined climate targets and assume greater responsibility to address climate change, while shifting the focus instead to the implementation of Paris Agreement. Although the Paris Agreement is set to come into force soon, ratification of the Doha amendment will give an advantage to India in international climate negotiations. Some months ago, at the COP 22 climate conference, India came under heavy criticism for pushing others to ratify the second commitment period and scale up pre-2020 actions when it had not done so. It even suggested a deadline of April 2017 for all countries to ratify the second commitment period. Implementation of Clean Development Mechanism (CDM) projects under the commitment period can attract some investments in India. The country has also been pushing for scaled-up financial and technological commitments from developed countries. Of late, India has been projecting the image of a serious and committed player in climate negotiations. It also ratified the Paris Agreement weeks before COP22, becoming one of the nations to do it early. This move allowed India to assume a bigger role in framing the rule book of implementation of various elements of the Paris Agreement.